Ivan the Great earned his sobriquet and makes his way on to my list as the best Russian ruler for a number of reasons. When I first put together my list, I had him behind both Alexander Nevsky and Peter I, but after careful review and research, he became my number one. The eldest son of Vasily II, he was the co-regent with his father to help solidify his family’s hold on to the throne. This was necessary as Russia was just leaving the period of their greatest civil war to date. Because of the war, Ivan the Great felt a need to incorporate the previously independent city states into his realm as the Grand Prince of Moscow. Some of the principalities joined peacefully and willingly like Yaroslav and Rostov while others needed to be coaxed militarily. Novgorod and Tver were two of the states most resistant to Ivan’s pressure. After the battle at the Shelon River in 1471, Novgorod accepted Ivan the Great as their leader. Three years later, they tried to revolt again but were soundly defeated and their veche system (people’s assembly) was abolished. It was after his total defeat of the Novgorodians that Ivan took the title of gosudar vseya Rusi or sovereign of all Russia. This was the first time that a Russian ruler had truly united his people. From here he also completely shed the yoke of the now weakened Golden Horde and stopped paying them any tribute. Khan Ahmad tried in 1472 and in 1480 to defeat Ivan the Great but failed both times. After the defeat of the Tatar’s at the Ugra River the yoke was finally overthrown. What Ivan the Great also did was open up relations with countries to his west and south like Venice, Crimea, Hungary, Denmark and the Ottoman empire. He brought Italian architects to Moscow where the built the towers and walls of the Kremlin, something that remains to this day. My selection for worst ruler in Russian history is Joseph Stalin for a number of reasons. 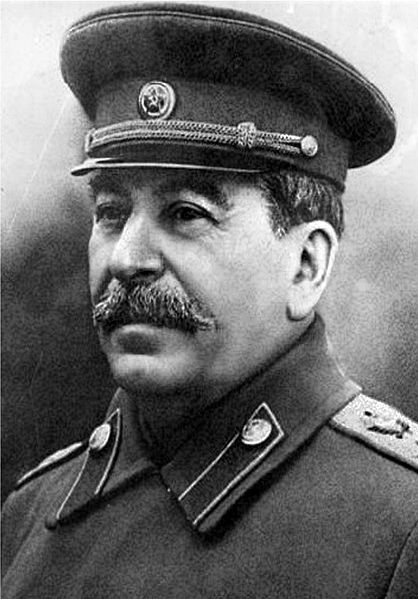 His barbaric rule, filled with paranoia and genocide, cost the lives of tens of millions of Russian and Soviet lives. The way Stalin handled his colleagues led to a group of men who, after his death in 1953, were unable to lead their country out of its morass. While he may have saved the Soviet Union from the forces of Nazi Germany, his brutality was unmatched except by a few. Born, Joseph Vissarionovich Dzhugashvilli in 1879, the former Orthodox seminarian, became known in the revolutionary community as Koba before adopting the name Stalin. Arrested numerous times before the overthrow of Tsar Nicholas II, there are rumors of his being a double agent for the Okhrana (the secret police of the Tsarist regime). Any proof of this and anyone who knew about it was wiped out when he became head of the Soviet state. When Lenin died in 1924, Stalin quickly consolidated his power base to take control of the USSR. Because he was a paranoid man, he found enemies in every corner and use the NKVD, led by Nikolai Yezhov to begin to systematically destroy anyone opposed to his rule. Time and again, numerous purges were carried out where tens of thousands of people were tortured, exiled or executed for real and more often, made up charges of treason. The show trials during the Great Terror of 1936-1939 purged all the Old Bolsheviks that Stalin believed could be threats to his reign. Only those who were totally subservient to him were allowed to live. To his west, Nazi Germany was arming themselves and despite being warned that they intended to attack the Soviet Union, Stalin signed a non-aggression agreement with them in 1939. When Germany decided to break the agreement in 1941, Stalin’s policies of purging many of the upper echelon of the Soviet army caused a disaster at the front. The USSR was totally unprepared for the invasion and because of this, millions of people died. While he did rally the people and eventually crush the Germans, it was at an incredible cost. Post World War II, when the Soviet people felt that their sacrifices would lead to a better life, Stalin kept them down trodden. Before his death, he planned another purge of his inner circle and potentially, another world war. Thankfully he died in 1953 before he could unleash another Great Terror. Unfortunately for the Soviet Union, he left a group of neutered men to try to run the country. This eventually led to the failure of the communist system and the dissolution of the USSR in 1991. Peter I, better known to the world as Peter the Great, thrust Russia onto the world stage by westernizing it despite bitter opposition from both the boyars and the population at large. His immense personality and 6′ 8″ stature was an imposing figure over the vast Russian Empire, an empire he helped create. Peter I guided Russia towards Europe and away from its Oriental past. He also set the stage for Catherine the Great, Alexander I and II who were to take their country to its pinnacle. Peter does not go without some major criticisms, issues that keep him from being my selection as the best ruler of all time. The large number of deaths that he caused with the building of St. Petersburg comes to mind. His parenting of his son, Alexei, who was to be his heir, was dismal. His son died in prison, having been convicted of trying to overthrow his father. Because of this, he threw the issue of succession into a gray area. This problem was “solved” by Paul I in a way that helped cause the demise of the Romanov dynasty under Nicholas II. Even with these not so small issues, Peter, according to historian James Cracraft, led a cultural revolution that replaced the traditionalist and medieval social and political system with a modern, scientific, Europe-oriented, and rationalist system. 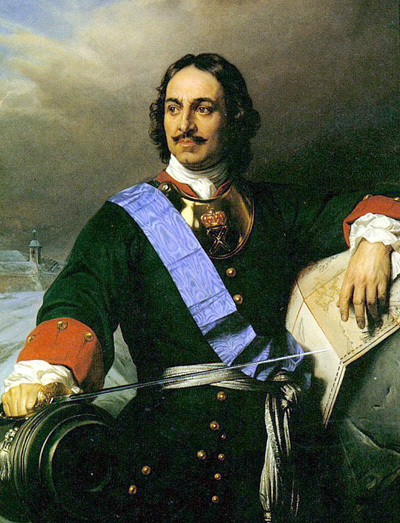 His victories over Charles XII in the Great Northern War put Russia into the forefront as a global power. That and the numerous reforms to the government and to society, with the Table of Ranks being one of his major accomplishments. When Peter died on February 8, 1725, he had ruled Russia either alone, or with his half brother and sister Ivan and Sofia for forty two years. His mark on Russia continues to this day and has influenced all of the rulers of Russia after him. 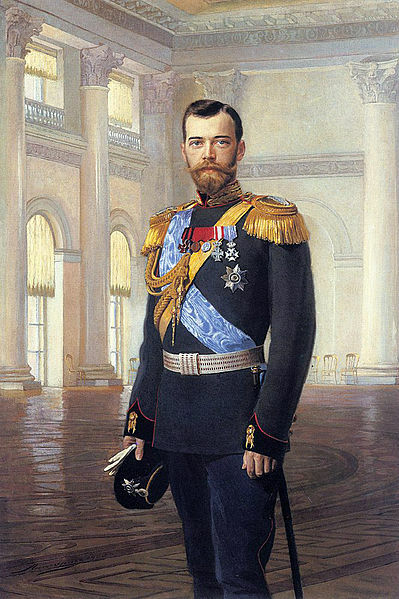 Nicholas II, the son of the reactionary Tsar Alexander III, comes in as the second worst Russian ruler of all time. In my opinion, his lack of leadership, poor timing, and his clinging to a form of government that no longer fit the time, makes him one of the worst. The man was a very pious ruler but it could not make up for the pile up of bad decisions he made. The decisions led to the murder of his family and the end of over three hundred years of Romanov rule. Now known as Saint Nicholas the Passion-Bearer by the Russian Orthodox Church, he was born on May 16, 1868 at Tsarskoye Selo, St. Petersburg. When he took over from his father in 1894, he represented a Russian leadership that was anything but Russian. When he was born, he was probably 97% German and only 3% Russian. To top it off, he married Alix of Hesse, another German princess which did not sit well with many in Russia. Now, not everything that went wrong during his reign should be blamed on Nicholas as his father was the one who decided against training him for the position. This was done despite urgent pleas from Finance Minister Serge Witte. Alexander III believed that he was young and strong and that his son was too immature to handle the rigorous training. This was to prove a fatal mistake. His list of mistakes is long starting with the decision to not go to the people after the tragedy at Khodynka Field during his coronation ceremony. From there, things only got worse. He allowed his country to go to two wars, the Russo-Japanese and World War I, despite his country being terribly ill prepared. His vacillation on the idea of forming a constitutional monarchy because of his steadfast belief in his God given right to be Emperor. Looking back at the man, one cannot feel sorry for him as he is one of those truly tragic historical figures. Still, his ineptness led to a great deal of suffering for the Russian people with the coming of the Bolsheviks. I truly believe that he wanted to help his people, he just didn’t know how. 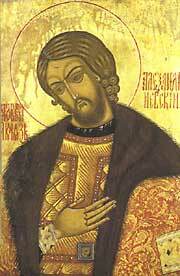 Alexander Nevsky, born on May 20, 1220 is in my opinion, the third best Russian ruler of all time. The grandson of Vsevolod the Big Nest, his exploits against the Swedes and the Germans were legendary. He also placated the Mongols of the Golden Horde, protecting the people from their raids. In the opinion of many Russians, he stands as one of their favorite Russian rulers alongside Peter the Great and strangely enough, Joseph Stalin. 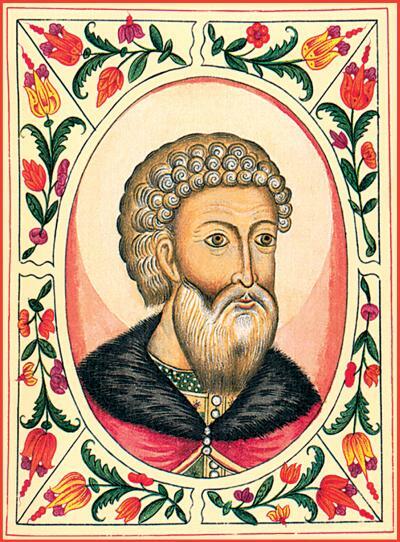 The Novgorodian people elected Alexander Nevsky to be their military leader as they were being threatened by the Swedes. At the Battle of Neva, Alexander when he was but 19 years old, defeated the Swedish Army, thus preventing an all out invasion. Even though he won the day, and was given the name Nevsky because of it, the jealous boyars pushed him away. He was recalled the following year as the Livonian Order once again invaded the area, and again Alexander repulsed them. The importance of these victories cannot be understated. The Mongols had just invaded the region and the people were shell shocked. They needed a home grown hero and Nevsky was the man. While some thought that the Russian people should fight off the Horde, Alexander was shrewd and wise enough to know better. He knew that if he were to wage war with the Mongols, Russia could very well have been wiped off the face of the earth. Better to placate them by paying tribute than to risk the lives of his people. In 2008, the Russian people voted Nevsky as both the greatest hero of Russian history and the greatest Russian of all time. High honors which are well deserved. If not for the accomplishments of the two men ahead of Alexander, I would have also made him number 1.